You matter, and you matter to Judaism. We are here because you are important to us and to God. Simple as that. PunkTorah, a 501(c)(3) Jewish non-profit, is an online community helping people who have fallen through the cracks of Jewish life. Our multimedia network spreads a message of love, inclusion and hope to thousands of people around the world. No matter what shape you are, at PunkTorah, you fit. PunkTorah was founded in April 2009 as a simple YouTube video blog. Today, PunkTorah is a non-profit organization with campaigns in every area of Jewish living. We are independent and unaffiliated…just like you! We have self-published seven books, an album, launched PunkTorah.org, OneShul.org, developed The G-d Project video series, kosher recipes at NewKosher, presented at conferences and synagogues, written for other websites and magazines, managed an incredibly successful social network and touched the hearts of Jews around the world. 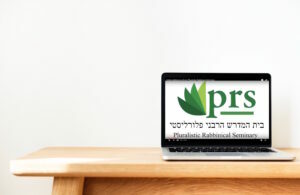 We recently launched an online school called the Darshan Yeshiva to train lay Jewish spiritual leaders as well as provide online conversion to Judaism. Our organization relies entirely on donations and class fees from Darshan Yeshiva students to prosper. Please consider a tax deductible contribution via Paypal, or taking a class at Darshan Yeshiva. So what is “punk” about “PunkTorah”? Punk, like hippie, rapper, beatnik or whatever, means outsider. It means independent, DIY, pluralistic, forward thinking. It also means someone who is marginalized. If you feel like that, then you’re PunkTorah, too. Will you review my book/music/film? No. And you don’t want us to, either. We’ve done a serious audit of books and music sent to us. There’s zero evidence that it lead to multimedia stardom. We recommend trying out sites that focus entirely on Jewish music and literature. Also, you can look online to find writers who have reviewed content similar to yours. Email them and they will help you out. We’re always looking for cool, talented people. Currently DarshanYeshiva.org is the only site accepting resumes. Where are the PunkTorah people in my community? Where are your local events? They’re online! Come to OneShul.org. Is PunkTorah Reform, Conservative, etc? Are you trying to become a movement? PunkTorah (and it’s many sister websites) is a post-denominational, pluralistic community. We’re open to Jews and non-Jewish, spiritual seekers, of all backgrounds and associations. We are egalitarian, inclusive, diverse and excited about the future of the Jewish tradition. Our community members represent a broad stretch of the Jewish community including Orthodox, Conservative, Reform, Reconstructionist, Renewal, Humanistic, Kohenet and Post-Denominational. Our commitment to pluralism includes the rabbis at Darshan Yeshiva who range from Reform, Conservative, Renewal and Post-Denominational.